Pleated blinds have a slim profile and can be fitted into window frames, which makes them suitable for windows and bi-fold doors. 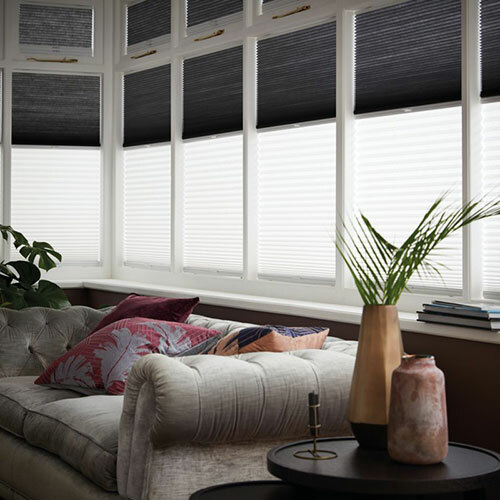 Pleated blinds add a unique style to your home as they have several functions, including a semi-raise and partial slat view, which can allow a certain amount of daylight to enter. Pleated blinds are also child safe, as there are no hanging cords for children to tug on. Some pleated blinds can be controlled with a remote, allowing you to raise and lower without moving an inch! Perhaps the most versatile type of blinds available, Venetian blinds can be rotated, lowered and raised to let in as much, or as little, light as you require. Venetian blinds can be pivoted using a cord or wand, and raised or lowered to the full height of the window, depending on your preferences. This range of blinds are perfect if you’re constantly bothered by distracting daylight or heat escaping from your room. 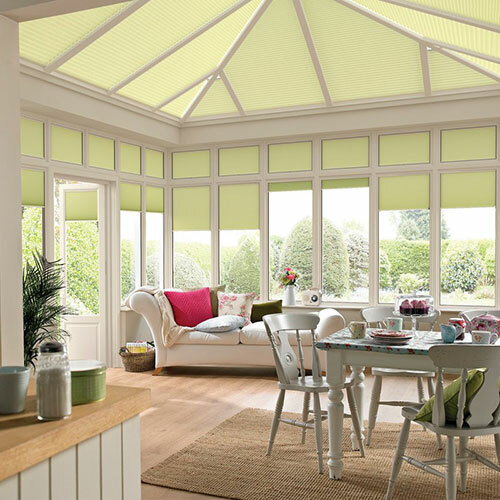 Combining two pleated fabrics, you have complete control over light, shade, heat and privacy. The two types of shade can be altered, allowing you to receive healthy natural light with UV protection by day, and keep out light and noise while you sleep. Essentially you are getting two blinds in one with day & night blinds. The best environmental and economical blinds around, thermal blinds help preserve room heat and absorb up to 46% of external noise to ensure peace and quiet. Thermal blinds aren’t only useful in the winter, they can also help keep your rooms cool in the summer, and you’ll start to notice the difference on your energy and heating bill too. If you’re living in a smart home, powered and electric blinds are an absolute must. Electric blinds can be controlled through a remote and can be operated from anywhere in the house. You can also equip yourself with apps that allow you to control the functions of your blinds from anywhere in the world. If you’re coming home from work in the winter and do not wish to enter a freezing home, you can control your thermal blinds via the app, so your home isn’t losing valuable heat through your windows while you’re out. Home > Inspiration > What Are the Different Types of Blinds?